The English-French Larousse Dictionary is an Android-friendly dictionary application that provides all of the benefits of the famous Larousse Dictionary in digital form. 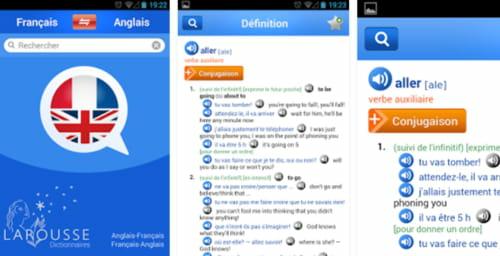 Including 250,000 words and phrases, 400,000 translations, and 450,000 recorded pronunciations, this app is ideal for new learners of either French or English. It also includes idiomatic expressions, making grasping linguistic and cultural nuances easier. Additionally, the English-French Larousse Dictionary has a useful word search feature that even works without internet connection. This software costs €4.99 to purchase. Latest update on August 25, 2017 at 12:32 PM.